Abhishek Sachdev of Vedanta Hedging was interviewed by the the International Business Times on his recent election to be a Conservative Councillor for Potters Bar Parkfield.Abhishek is the MD of the largest FCA authorised derivatives advisor nationally, for SMEs. Having achieved this in just a few years he feels there is still is still much more to do in this arena as there are since there are far too many SMEs that are afraid of derivatives and do not understand the benefits of them. Abhishek Sachdev, CEO of Vedanta Hedging is also now a Conservative Councillor for Potters Bar Parkfield. The mis-selling derivatives scandal has been one of the most costly and complex problems for small to medium enterprises across Britain in recent history. After expensive court proceedings, lengthy fights with the banks through the Financial Conduct Authority’s (FCA) review scheme and independent lobbying in Whitehall, thousands of victims have started to regain some redress or compensation from the financials. However, since each interest rate product that was mis-sold is complex and unique, there have only been a handful of FCA-authorised derivative experts (and those not in any way affiliated with claims management companies) that have been able to help victims with gaining justice. 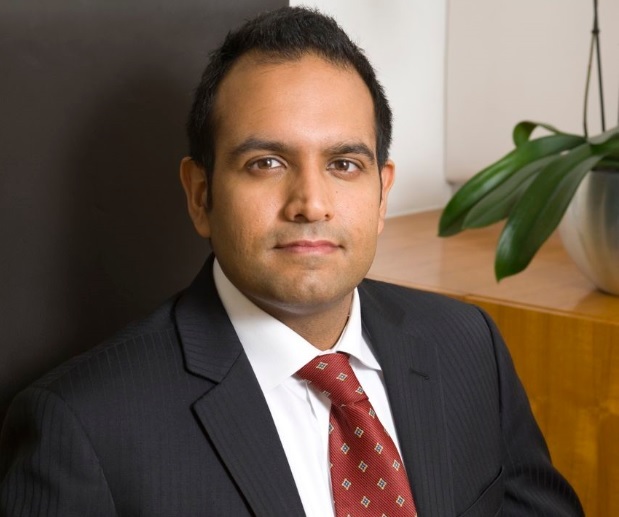 Abhishek Sachdev, CEO of Vedanta Hedging is one of those people’s champions but also works with major firms to help analyse and determine what are the best hedging options for them. However, as the FCA review scheme starts to wind down, Sachdev has also recently snapped up the Councillor seat for Potters Bar Parkfield as a Conservative representative. So, IBTimes UK decided to catch up with Sachdev to see whether he is looking to move permanently into politics and how he sees the mis-selling derivatives scandal shaping up in the future. Q: What were the key reasons for wanting to become a councillor? A: The key reason is that as a Hindu, we are taught that service to community or ‘seva’ is a fundamental part of daily life. Whilst that natural first step is to help those that we know such as family and friends, helping one’s community is a step further in this notion of seva. Having lived in Potters Bar for 26 years, I thought that this was the ideal community for me to start helping. I’ve worked with dozens of MPs, Ministers and Lords across all parties in the last 3 years and have seen first-hand the real change that political pressure can bring about – which is not always seen in the public eye. Q: And of course, tell us a little bit about yourself and your life outside finance and politics? What makes you tick? A: We have a beautiful and very active 21 month year old daughter that soaks up any spare time I have! I also mentor some younger students and assist them with basic employment skills. Q: The voter turnout was the highest in the area for a significant amount of time, why do you think that happened? A: In Potters Bar Parkfield, we had the highest voter turnout across Hertsmere (although still far lower than in a General Election). I think a large part of this credit has to go to my wonderful campaign team (comprising of local volunteers, friends, cousins, siblings, nephews, nieces, parents and in-laws, and existing Councillors) who tirelessly worked to deliver thousands of leaflets. Q: What key points / challenges are you hoping to achieve during your councillorship? A: I would like to try hard to engage the younger voters who live in Potters Bar and Hertsmere, as well as more ethnic minorities. As the youngest Councillor in Hertsmere (and first Indian) I hope that others can see that the services and support the council provides affects each and every one of us. I also want to ensure that at every opportunity, we promote and support SMEs to grow and develop. There has been some recent work done to help provide flexible, subsidised office space for start-ups and this is exactly what I want to build upon. Q: Being in finance, in a particularly complex part, how do you think you can apply this to issues in a local sense? A: I’m passionate about what I do because it involves explaining complex financial derivatives into simple terms that SMEs can understand. I believe this skill of communication is critical from a two-way perspective. That is, articulating clearly the views of my constituents to the wider council, and vice -versa helping to explain to constituents why certain activities and services are the way that they are. Q: What are your ambitions for the future in politics as well as your own company, which is the largest of its kind (FCA-authorised, run by derivative experts and not affiliated with claims companies) in the field? A: As far as Vedanta Hedging goes, I’m proud that we’ve grown to be the largest FCA authorised derivatives advisor nationally, for SMEs. But there is much more to do, since there are far too many SMEs that are afraid of derivatives and do not understands the benefits of them; provided they are advised correctly and in a transparent manner. Our work with the Government and regulators is also helping to promote the transparency of over the counter (OTC) derivatives. I have always been passionate about representing others and giving others a voice and mechanism through which to effect change. I think that is can apply in many aspects of life – but for now, want to focus on being the best Councillor possible for my constituents.